Do you want all the people who come to the open house to feel like your space is the right size for his or her family? Of course, you do. Knowing the best ways to stage the most popular room for gathering and having long conversations can help you get top bids for your homes for sale. Sofas and chairs do not have to sit along the wall. While open floor space is excellent for opening up a room, it is not always functional for times when your family wants to have a talk, divvy up chores, or play a board game. By putting couches, chairs, and loveseats in the middle, you can use a rug, decorations, and multi-purpose furniture to keep travel paths open. Better Homes and Gardens says using pairs of items makes your room have a sense of organization. To accomplish this task, it works well when you pick a focal point. Face furniture towards similar pieces to create a natural conversation zone. Then, use matching tables, decorations, and curtains to balance the design. Forbes says that tight spaces are easy to open up with couches and chairs with no arms. Picking furniture that is open gives larger families the room to climb over each other to get to a favorite spot, tickle younger members, or find room to stretch out during a long movie. Using these styles can make any room look and feel welcome at the showing. Opening the curtains is a simple and no-cost solution to creating a sense of spaciousness in your living room when staging. Additional light brightens up the room and makes it more inviting. If you have the funds to add a skylight in dark rooms, then you can create a more welcoming area that draws buyers into the room, and wanting to place a bid. Pairing an ottoman with a sofa that fits your space can appeal to families who want to envision themselves kicking back and watching a movie together. These footstools also provide additional seating. When you add these small seats to larger sofas, your open house guests can see a comfortable place to enjoy and relax. Architectural Digest says to get creative with your staging. When you want the buyer to love a space, think about the way a hotel or spa might furnish the room. Putting couches and chairs on an angle breaks up awkward areas. Use the prime features of the room or home to create a feature. Place your sofa and decorations in a way that enhances these aesthetics to help buyers envision making their own life there. When your room is really narrow, then tables with storage make little sense. In these cases, a stand with a tabletop and legs can make the room feel bigger. Minimal furniture in the center of the room can let light get through easier. Homeowners can see that there is plenty of space to navigate the furniture and get comfy with a minimalist design. Glass tables, smaller items, and furniture placement can enhance skinny rooms. For instance, a set of end tables on each side of a loveseat might be better for a tiny living room than a massive coffee table in front of a long sofa. To combine functionality and storage, you can use the walls to free up floor space. A big bookcase can serve as CD space, and baskets can corral the endless remotes in your living space. Tall cabinets show off your favorite memorabilia without crowding the room. Use your sofa to invite potential buyers to feel comfortable, and the rest of the furniture can double as storage. Wall-mounted televisions, electronics storage, and music or movie collections can easily fit in a shelving unit that fits on your wall. You can even go floor to ceiling with this furniture if you want the seating area to get the most attention. 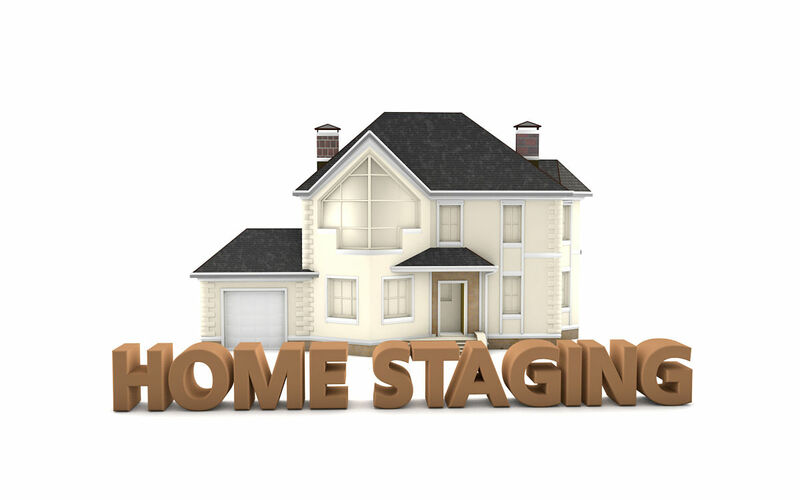 Staging your homes for sale does not have to be difficult when you have a small living room. Narrow spaces have a few challenges, but nothing using fewer creative furniture pieces cannot solve. 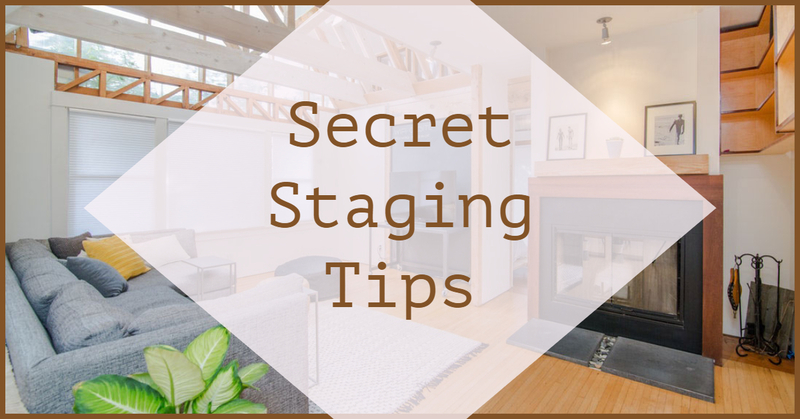 When you want to sell your home fast, then staging can help you show off the best features in a way that is appealing, functional, and fitting for the space. You can borrow or rent furniture instead of using your own. We hope our tips for staging a small living room helps you sell your property fast. For more information about buying or selling a home in the Granbury, Tx area contact your local Realtor.